Home of Old Town Alexandria’s favorite pizza and original sports bar. We take great pride in being part of the Old Town restaurant scene. At Bugsy’s, we use only the highest quality and freshest ingredients for every dish guaranteeing delicious and unique pizzas, specialty sandwiches and salads! Come to Bugsy’s to have a great time and a delicious meal. *We deliver to: Old Town, Rosemont, Beverly Hills, Del Ray, Belle View and Montabello. Hungry? Bring your appetite to Bugsy’s! Upstairs are our Sports Bar, or downstairs at our family friendly restaurant, you’ll have a great meal, a great time and enjoy one of Old Town’s most established pizzerias! 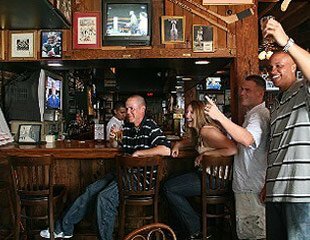 Your favorite neighborhood bar is right around the corner and upstairs at Bugsy’s Sports Bar! Check out our specials! Call or fax your order for delivery or pickup! When you come to Bugsy’s, not only can you catch up with your friends, you can catch up on all of your favorite sports and enjoy some great food, including Northern Virginia’s Favorite Pizzas! 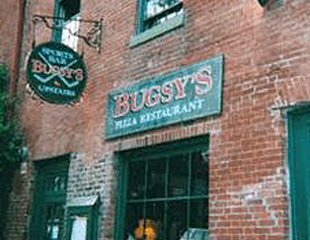 Bugsy’s has often been compared to the famous TV bar “Cheers.” Come here a few times, and everyone will know your name! Bring your appetite to Bugsy’s! Call your order for delivery or pickup! 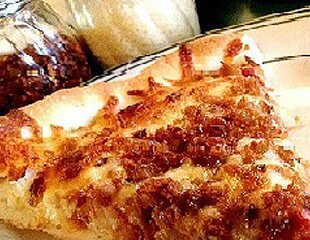 Old Town’s most established pizzerias! Pizza and Sports, all too perfect!!! The B*E*S*T Pizza I have ever eaten in my life!!!! © 2019, Bugsy’s Pizza. All Rights Reserved.